Pet odor and pet stains can ruin your rugs, Fresh Start Carpet Cleaning can give your carpets new life. We specialize in the removal of pet stains, pet odor, pet dander and pet hair from your rugs. Our professional truck mounted carpet cleaning system is pet and child safe and utilizes steam that emulsifies the dirt and germs that lurk deep in your carpet fibers. Our deep cleaning process is fast drying usually between 3-5 hours. Embedded dirt and bacteria in carpet may cause health problems for your family in the form of allergies and colds this is why professional carpet cleaning is recommended at least every 6 months. Bi annual carpet cleaning will help maintain the integrity of your rugs while keeping your home clean and allergy free. 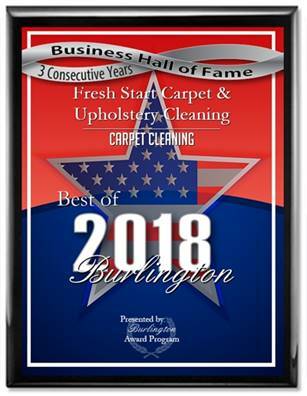 Fresh Start Carpet Cleaning is one of the highest rated family/veteran owned carpet and upholstery cleaning companies serving the South Jersey and Philadelphia areas. We’ve been in business since 1999 and our 5 star reviews are numerous.